New York à la Keiko: 2013 Wedding #1 [in Philadelphia] + duh! grilled cheese and cheesesteaks! 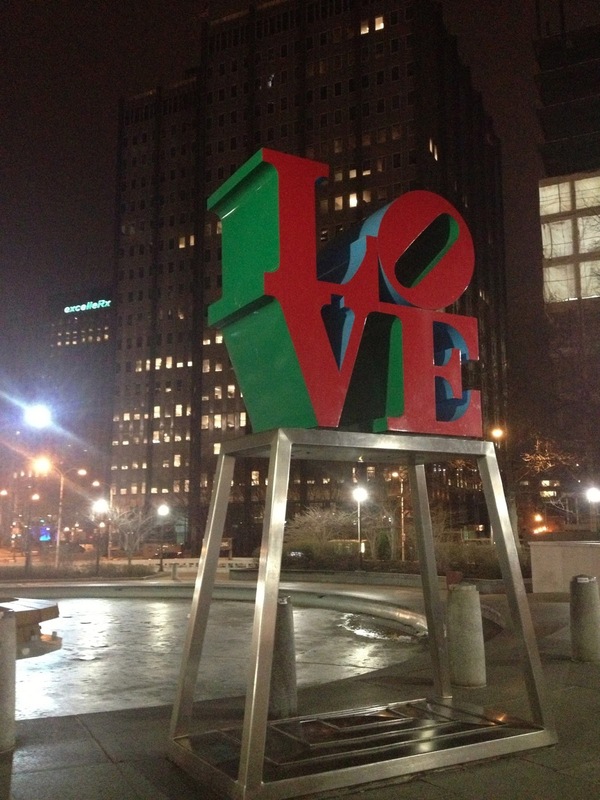 2013 Wedding #1 [in Philadelphia] + duh! grilled cheese and cheesesteaks! I have a long weekend coming up. I asked for Friday off so I can have a stay-cation during Easter weekend and also my sister will be visiting from Montreal for some shopping! It's my first day off in 2013. Yay!! Last weekend, we took a short trip to Philadephia to attend a Sunday wedding ceremony held at the Stotesbury Mansion followed by a reception in Chinatown. We left Sunday morning from New York which is only a two hour drive to Philly and after dropping off our bagages, we grabbed some lunch inside the historic Reading market before heading to the ceremony. 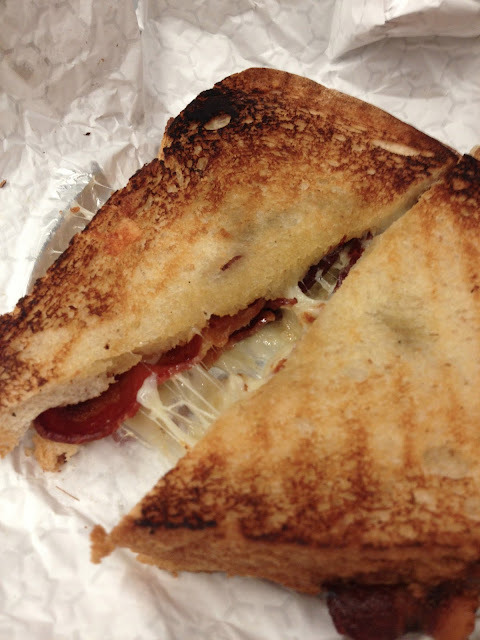 We ate the cheesiest of grilled cheese sandwiches from Melt Kraft. Dave got the ultimate THE grilled cheese sandwich called the Valley Thunder. 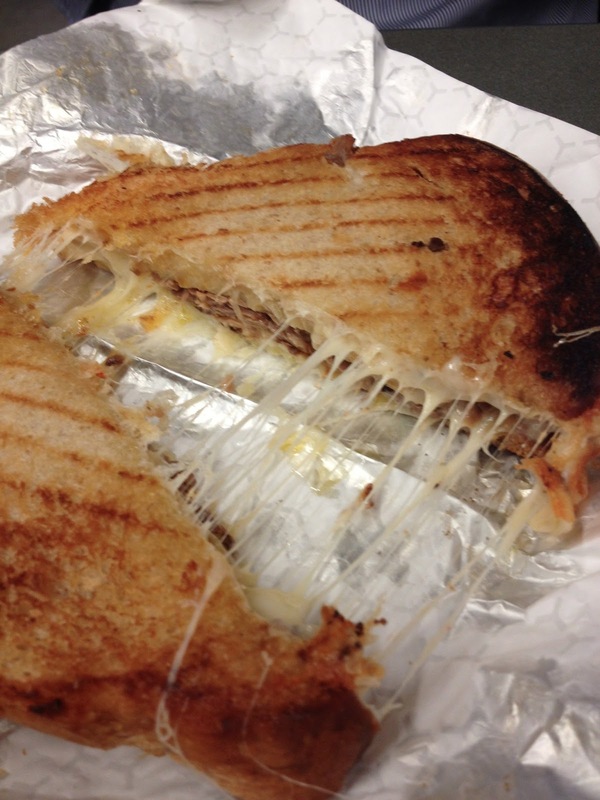 It is packed with Valleyfield cheddar cheese, brisket and mac n cheese squeezed into between two buttered toasts!! I had the regular grilled cheese which had 3 kinds of artisanal cheese plus bacon which was highly recommended even though I didn't really like bacon (I shouldn't have gotten bacon). I was stuffed after the first half of the sandwich! So heavy... cream...bleuh..not good before fitting into a dress if you know what I mean. And yes, when you are in Philly, you gotta have cheesesteaks so after the wedding we passed by Patz to pick up a sandwich except, not for me. Maybe because we overdosed on cheesesteaks our last trip but mostly, I was stuffed from wedding food (cupcakes!). I had a bite though so I did not miss out. We have another wedding to attend this Saturday...wedding season is in full force! those grill cheese look so yummy!